While Fine Art Shippers is best known for providing high-quality fine art shipping services in NYC and the Tri-State Area, we actually operate all over the United States. We work with many prominent galleries, auction houses, and we have clients in every state of our country, serving all of their art logistics needs on an ongoing basis. As for the East Coast, we go as high as New England and even Nantucket Island located 30 miles by ferry south from Cape Cod, Massachusetts. Moreover, moving wall art and other artworks to Nantucket has long been an important part of our business, and we are very proud and happy to work with a number of reputable galleries located on this amazing island. This is particularly true for Casterline Goodman Gallery that specializes in high-end contemporary and post-war art. Moving wall art for this well-known gallery is always a pleasure for our team of professional art shippers! Whether it comes to moving wall art or any other valuable and fragile item, we always pay special attention to the artwork packing process. Furthermore, at Fine Art Shippers, we offer our art packing and crating services in-house, and we never ship the artwork if it is not properly packed and crated to withstand the rigors of the long-distance transportation. 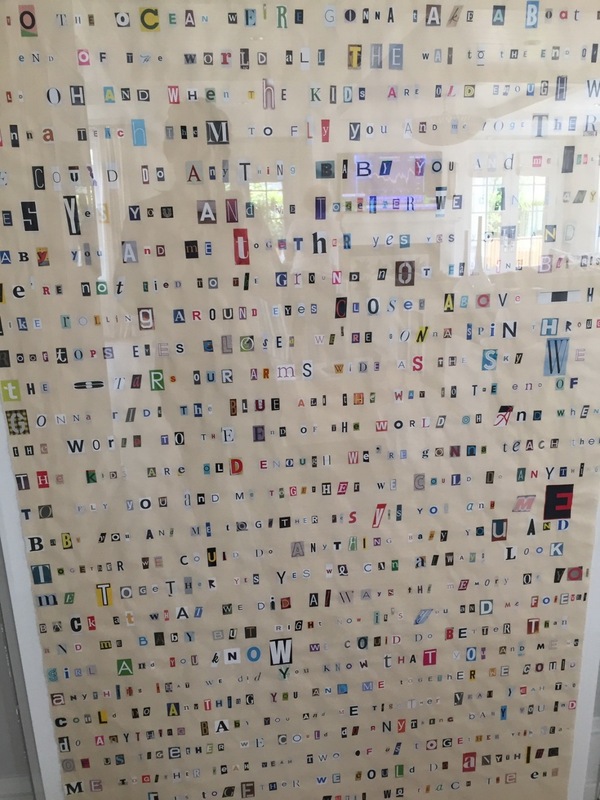 In the photo below, you can see the amazing art piece we were entrusted to ship from New York to Nantucket not so long ago. The artwork was professionally packed, crated, and delivered to the destination in the safest and most secure way possible. In addition to moving wall art and providing our clients with all other art logistics services in Nantucket, we also offer professional art installation and exhibition set-up services right on the island. 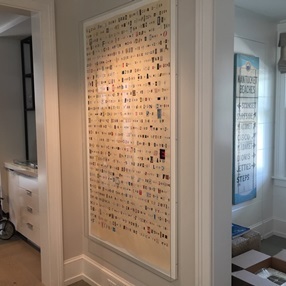 In other words, we not only deliver artworks to Nantucket but also help organize the gallery space, install art with proper mountings, and do all set-up work if necessary. You can actually entrust Fine Art Shippers to do any job in one way or another related to handling or moving wall art and other artworks. Besides, you will be pleased to know that our art logistics services are very competitively priced, and we are always ready to provide you with a free estimate for the cost of your shipment. Just fill in the form on our website, and you will get our offer the same day!